Current paradigms propel future plans. Yeah, I know, that sounds pretentious, a faux-profound statement cloaked in catchy language. But it really is true. The boxes into which you place an idea lock you into a certain point of view. Once your mind cements itself around that concept, you suddenly have a concrete course of action. That very strategy becomes strangely difficult to change, and forthcoming campaigns, initiatives, and divisions peel off from it like ramps around a metropolitan interstate exchange. Naturally, that’s not much of a problem if your preconceptions more or less mesh with reality. But if they’re far removed from the way things actually are, well, you might end up in a world of hurt. This is particularly true when people confuse SMS marketing with a seemingly similar medium: email marketing. As ProTexting CEO Kalin Kassabov notes in an October 24, 2016, article for Mobile Marketer, “It is natural to compare SMS to email marketing. Both types of marketing involve sending messages to recipients who have opted in.” That’s about the only commonality, though. For all their seeming similarity, SMS and email are actually radically different both conceptually and practically. Marketers dismiss the differences between them at their peril. So how do the two differ? Well, remember when email was hailed as an inexpensive replacement for good, old snail mail, an alternative that people actually, you know, read? That might’ve been true during the nineties, but it certainly isn’t now. People face a far greater number of unsolicited electronic missives than they ever did with the tacky physical spam that filled their mailboxes. 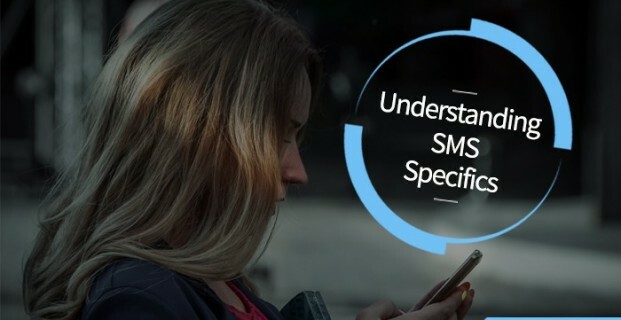 To contrast, SMS messages get a response nine times out of ten and are usually opened within minutes of being sent. There are structural differences, too. While email can include graphics, gifs, or gracious messages from Nigerian princes promising a payout from a royal inheritance, SMS messages have 160 characters with which to get their point across. Forget spanning longer pieces across multiple texts. Customers will tune you off faster than a smarmy nonprofit-radio shareathon. Perhaps part of the reason for the overall efficacy of SMS campaigns is their enforced brevity. Even intangibles comes into play. Would you say that you trust the emails that land in your inbox? Of course not. Precious few seem to honor consumers’ privacy or desires. SMS campaigns, on the other hand, strictly stick to Federal opt-in guidelines and thus enjoy a higher level of customer confidence. Not only does that confidence translate into higher click-through rates, it also results in more conversions, which are the ultimate metric. Of course, an SMS campaign isn’t necessarily a panacea for all of your promotional problems. Its defining qualities also limit it. The enforced shortness of those pithy little messages can make it devilishly difficult to communicate more complex or nuanced information. Getting consumers to opt in isn’t as easy as you might think (although we’ll see next week that a few simple tricks can mitigate that challenge). And SMS marketing is far from a mature field, which means it doesn’t necessarily have email’s reach. But these constraints aren’t negatives in and of themselves. They’re simply data points to take into account as you construct your own successful SMS campaign.